April 5, 2017, 1:24 p.m.
Lichterman, Joseph. "Want to bring automation to your newsroom? A new AP report details best practices." Nieman Journalism Lab. Nieman Foundation for Journalism at Harvard, 5 Apr. 2017. Web. 24 Apr. 2019. Lichterman, Joseph. "Want to bring automation to your newsroom? A new AP report details best practices." Nieman Journalism Lab. Last modified April 5, 2017. 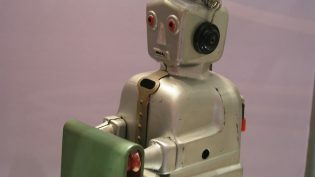 Accessed April 24, 2019. https://www.niemanlab.org/2017/04/want-to-bring-automation-to-your-newsroom-a-new-ap-report-details-best-practices/.